It is very easy to find something you love and stick to it. With comfort, comes confidence and here at Sherpa we have become very comfortable and confident in our company’s content management system. This year we were approached by a client who wanted us to program a website using WordPress and a stock template for their website. Although we were unfamiliar with WordPress we were determined to make it work. We had to temporarily part ways with our usual strategy for this project and try something new! Picture that you have this absolutely wonderful meal sitting in front of you. Everything looks so great… except the brussels sprouts, and you aren’t allowed to leave the table until everything on your plate is finished. In our eyes, our own custom strategy was the wonderful meal and WordPress was the brussels sprouts. 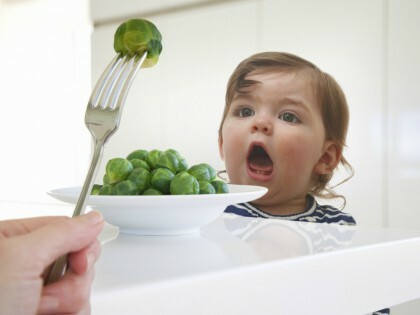 We were confident we liked every other option on our plate, but we weren’t too excited about the brussels sprouts. This is how Sherpa views doing a WordPress project and why we held off on it for so long. In addition to the above reasons, we really enjoy the creativity associated with a custom web design. In this situation however, we were dealing with a significant time constraint and given strict guidelines so there was no choice but to make the WordPress format work. Seeing that Sherpa was unfamiliar with this type of website development, we wanted to make sure we used as many resources as possible to ensure that we would meet our website completion deadline and leave a great impression. Not only did we use internal programmers and developer resources, we used external sources as well. The use of external sources allowed for Sherpa’s internal programmers to focus on all ongoing client work in this time period rather spending it on this one project. Furthermore, this allowed us to avoid burying our internal developer resources in one project and instead balance them out across all projects. We managed to complete high quality work in a timely fashion. However, as this project went on, we discovered that it was more time consuming than a custom website design. As many people would probably assume, along with us here at Sherpa, we thought this would be a faster system but this wasn’t the case when you factored in all of the programming time added to alter and fix the WordPress template. All-in-all the website ended up being finished in a timely fashion and met all the needs of the client. All companies have strategies but sometimes it’s really great to step out of your comfort zone and try new things. You may not like the idea at first, but once you do it you may find it’s really not that bad!